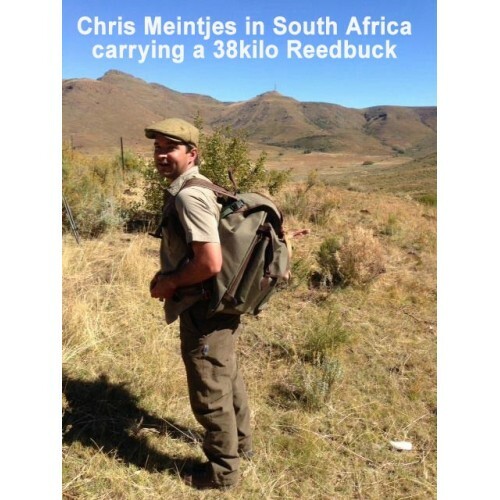 Main Picture: Pro Stalker John Robson of Yorkshireroestalking.com with a 52lb trohpy Roe Buck in the Monarch Ghillie Roe Sack. Entirely manufactured in the UK. 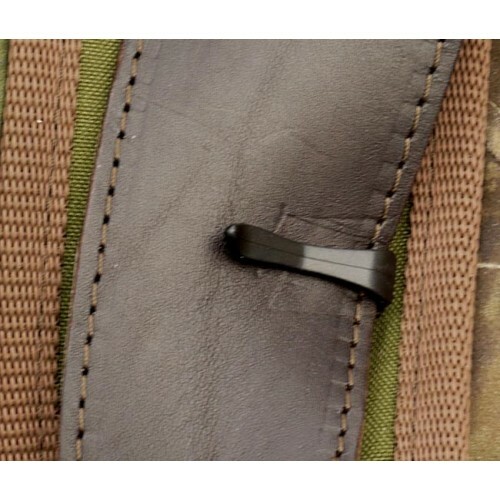 Military grade 1000 Denier grade cordura - English bridle leather strap & stud fastenings. When empty the sides fold & fasten inwards to reduce the width by 15". 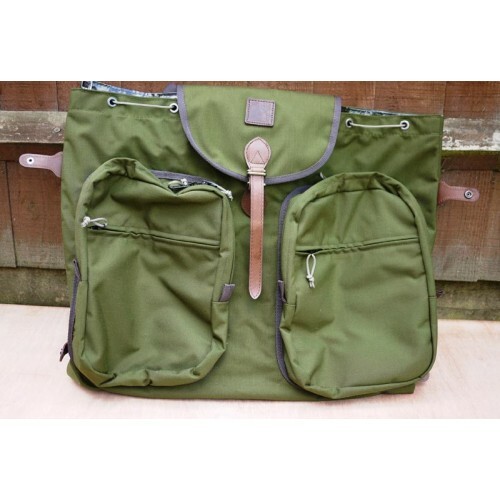 Two large front pockets and inner security pocket for phone, keys etc. 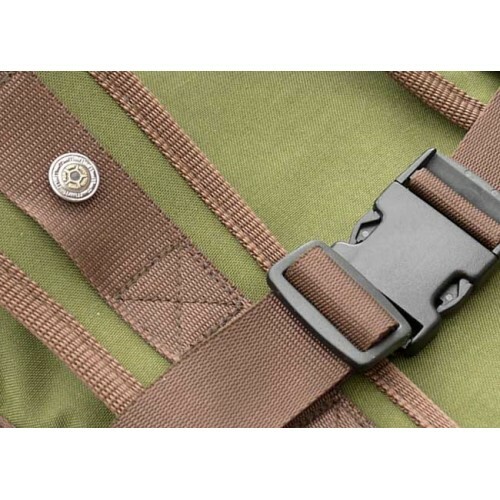 Wide shoulder straps incorporating snap lock chest strap & also waste strap. 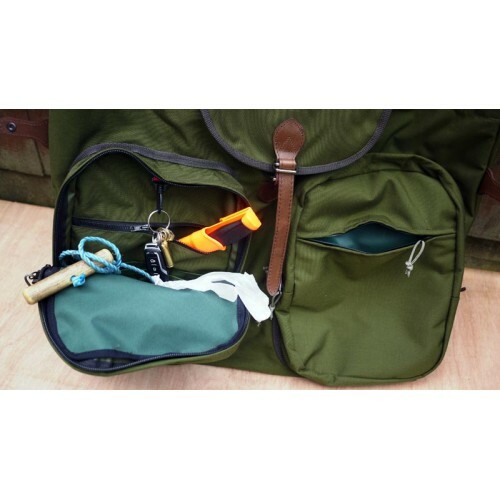 Loop carry handle and snap lock binding to hold rolled up jacket etc in hot weather. 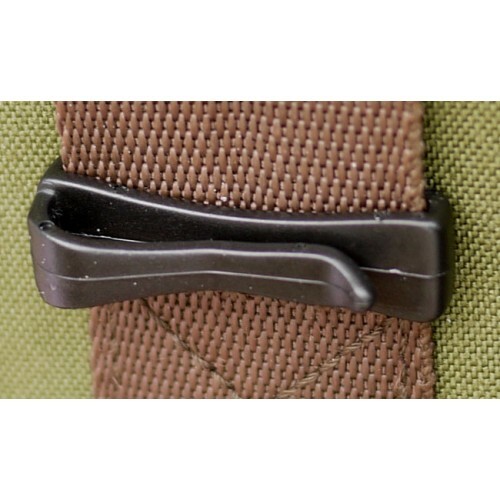 Heavy duty removeable/washable PVC liner with tie cord. 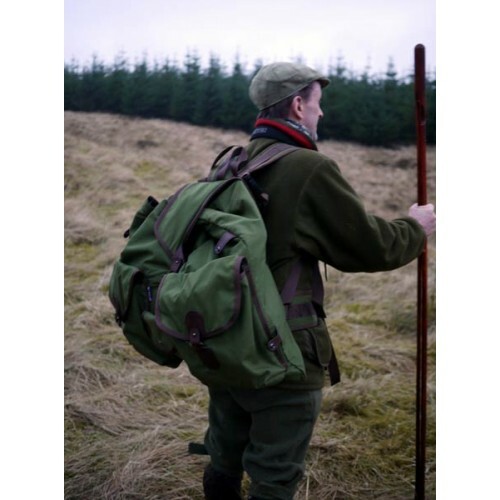 This bag will easily carry a large Roe deer. Size: unfolded 28" x 22" & folded 15" x 22"